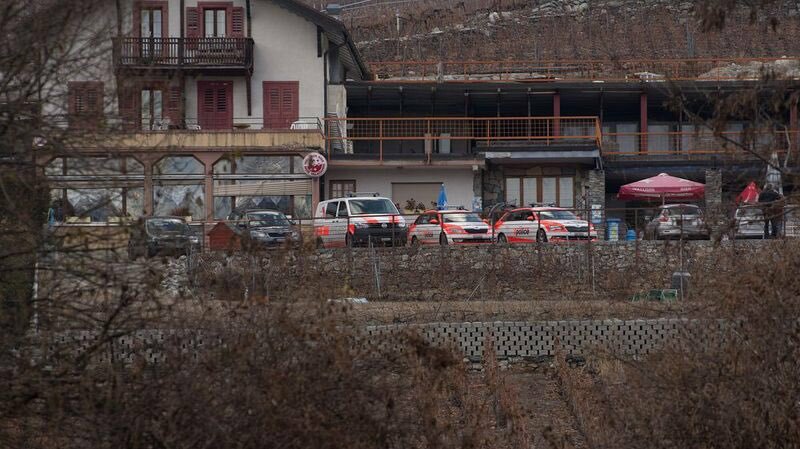 Three Christians were stabbed by the mujahideen in Langeborgne, Switzerland on Christmas morning. The Christians were attempting to go to church to celebrate the birth of our Lord Jesus. Christians were attacked with cold steel — always the weapon of Islam — for going to Mass this Sunday morning at Our Lady of Longeborgne, Brumous. On the social networks, eyewitness reports speak of a knife attack against three faithful of the Hermitage of Longeborgne — one of which was seriously wounded — who were on their way there. One of them succeeded in crossing the roadblock made by the aggressors, and arrived in Longeborgne with his face covered in blood. He was taken to the hospital as soon as the police arrived. According to the priest, his condition was not worrisome, but another victim was reportedly found by the policemen on the ground and seriously wounded. “There was no mass, for the faithful were stopped by a person who assaulted them. It was probably a sharp weapon,” said Father Francis, the rector of the Hermitage. One of the wounded was able to reach the holy place and was treated on the spot before being transported by the emergency services. Three people, two women and one man, were stabbed. The latter was seriously injured. Numerous police patrols, dogs and a helicopter were deployed in the Gorges de la Borgne.